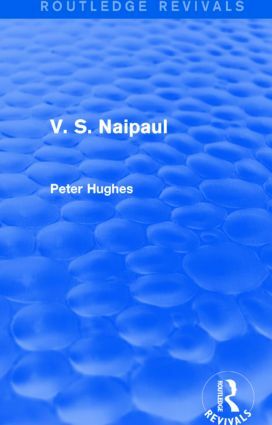 First published in 1988, Peter Hughes explores the work of V. S. Naipaul, and the interplay of fictional and non-fictional patters in what is his obsessive vision of human life. Hughes shows how Naipaul’s narratives pair off histories and novels, travel-writing and psycho-biography, reinforcing one another and Naipaul’s vision of ‘a world undoing itself’; a world of disorder and fantasy. He includes a reading of Naipaul’s texts, usually considered highly traditional, that shows their innovative side, and points out ways that they can be illuminated through modern literary theory. A detailed analysis, this companion to V. S. Naipaul’s writing will interest students of modern literature and those with an interest in Naipaul’s writing more generally.